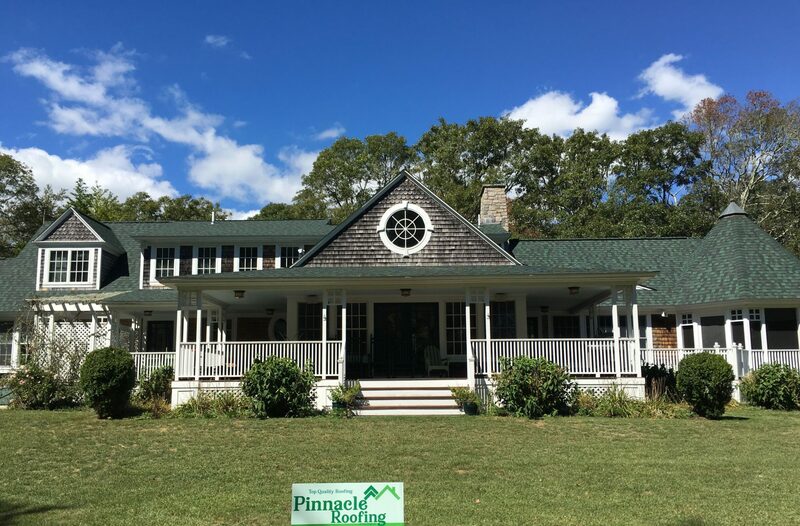 North Kingstown roofing crew have the following reviews: This guest house is going to be an AirBnB on our farm, overlooking our pond, and it looks like a million dollars thanks to Scott and his team. There are no words to express how thankful we are. We will be hiring them again. Thank you Kelly’s Team! I’ll be using the again. They were on time, on budget and came up with no-nonsense solutions to the problems we encountered once we opened up the roof and walls. What we thought was a routine job became more complicated and they handled it beautifully. The team showed up on time and accomplished the roof install and gutters in a very professional manner. The foreman, Scott, never failed to explain what was happening and kept me informed throughout the project. I’m very pleased with the ressults. Call or text 401-268-7075 or fill out our form below to contact our professional team. We are part of Kelly’s Team RI, LLC. IS IT TIME FOR A NEW ROOF ? There are definite signs to look for in determining if it is time for a new roof. If you can visually see cracked shingles, curling shingles, sheathing, shingle or siding decay, any of these visual cues suggest it is time to call a professional to take a look. Leaking in the attic after heavy rain, stains on the ceilings or walls, blistering pain are also signs. if yo notice the the roofing granules in your gutter s and downspouts or have high energy bills these are also clues as well. WHERE TO START for a North kingstown roof ing installation? For your new North Kingstown roofing installation first :you want a professional to measure your roof, the amount of valleys, hips and other features of your roof to know the amount of material that will be needed. Call 401-268-7075 or simply email us info@PinnacleRoofingNE.com and we will take care of the measurements. Often homeowners do not need to be home for this to happen. Once we have the measurements it is time for an appointment to go over your options for shingles, underlayment and then schedule the date. Most roofs may be stripped and have anew roof installed in one day with our skilled team of roofers! Remember there is the option of financing if you would like. You will need to decide on the material you want to use for your roof. Different materials will have different benefits and costs. Most residential roofs have asphalt shingles on them. There are several brands and styles to chose from when shingling your roof. Three tab shingles come in a variety of colors and warranty lengths. These are the standard shingle many homes have. Architectural shingles for your North Kingstown roofing material will have a large variety of colors styles and warranty lengths as well. These designer shingles have come a long way in the past decades and now there are several varieties that are comparable in price to three tab. Metal roofing for residential was cost prohibiting for many until very recently. New manufacturing available has made metal roofing a possibility for most home owners. Please request a brochure to be emailed to you to help you chose your color and style of shingle. Then: When the measurements have been taken and the type of shingle or material has been selected we will have the numbers ready to speak with you and give you your quote. We have samples available to share with you if you would like to assist your decision process. Your home will be reviewed to see if there is flashing that needs to be replaced, and see if there is any visual indicators of other issues such as rotting sheathing that may need to be replaced in areas or sags that indicate rafter repair may be needed. In either case it is ok, we will take care and do it right when we install a new roof. This is a good time to inspect the facia on your home as well. We offer and highly recommend our storm proofing of your roof. We will add the ice block beyond what the code requires and place it over all your seams on your home. This added precaution will save you the time, money and stress of potential roof leaks down the road . How to estimate how much material will be needed. Knowing how much material you need will help you have an estimate of what your new roof will cost. Professionals refer to how many squares are in a roof. A square is a100 square foot area. There are usually three three tab bundles of shingle for every square on your roof. To determine how many squares your roof is you multiply the length and width of each section of your roof. This will give you the square feet of each section. Add up the total of each sections and divide by 100. Now add 15% to allow for waste. This will be the amount of squares of material needed for your roof. Now you will need to factor in the most of the drip edge, the cost of ice and water shield, the cost of the underlayment (roofing felt in most cases). There is also the metal flashing that is needed around pipes, chimneys, skylights and other fixtures on the roof. Understanding the pitch or steepness of your roof, the height of the roof, the number roof valleys, hips and levels of roofing will factor into material cost and labor cost as well. Now that you know the measurement of your roof, understand the different factors will effect the material costs as well as labor costs you will need to take into consideration the material you select. Call or text 401-268-7075 when you would like a professional to come and help.